ESL Technical Services are able to offer Sound system hire and PA equipment hire which is sizeable to suit all manner of events and occasions. 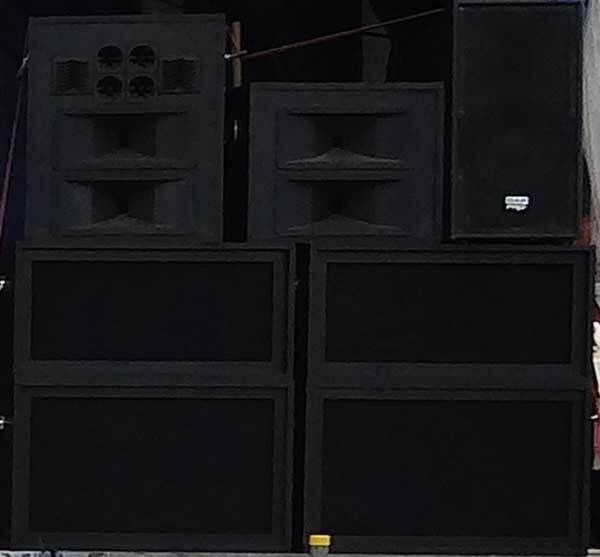 Our modular Festival Sound System can be tailored to handle all types of event from a small intimate folk festival to a larger rock festival with an arena size of up to 2500 square metres. The Festival Sound System features the latest in digital mixing technology and industry standard microphones from Shure and AKG. Both cable and radio vocal mics are available together with DI units to provide the maximum flexibility. In keeping with current practice our Festival Sound System utilizes digital signal processing to achieve an even dispersion of sound within the audience area while at the same time minimising the spill outside the arena to assist management in compliance with licensing requirements. Want to be able to re-live your festival? Our Festival Sound System is available with 32 track recording for later mix down or try HD video recording for even more memories. No Lighting? No Stage? No Power? No Problem!! 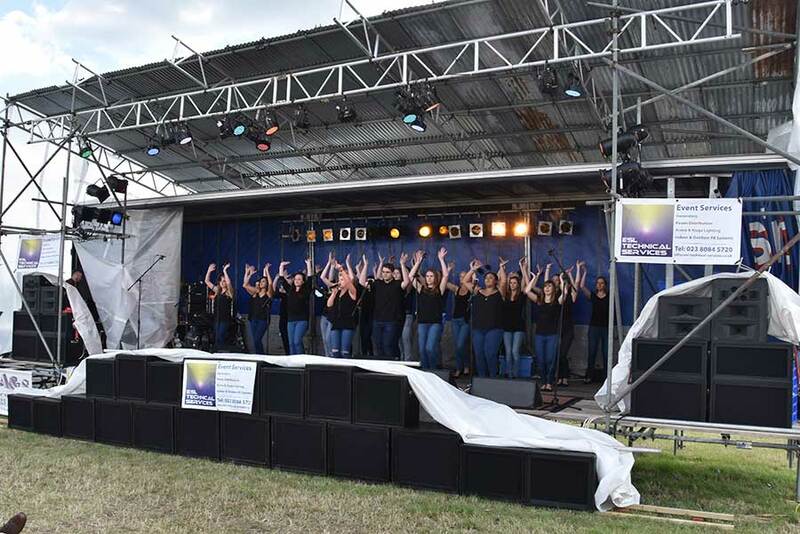 We can supplement our Festival Sound System with our Festival Lighting System featuring LED and conventional lighting installed on a suitably sized stage and powered from a fully regulated generator providing safe and reliable power for the whole system. Our modular Live Band Sound System can be tailored to handle all types of event from an intimate folk duo in the local bar to a multi band event in a large indoor venue. The Live Band Sound System features the latest in digital mixing technology or we have analogue available if required with industry standard microphones from Shure and AKG. We provide both cable and radio vocal mics and DI units to provide the maximum flexibility. Our Live Band Sound System utilizes digital signal processing where required to achieve an even dispersion of sound in larger venues while at the same time minimising the noise nuisance outside to assist management in compliance with licensing requirements. Want to record your band to keep or for sale? 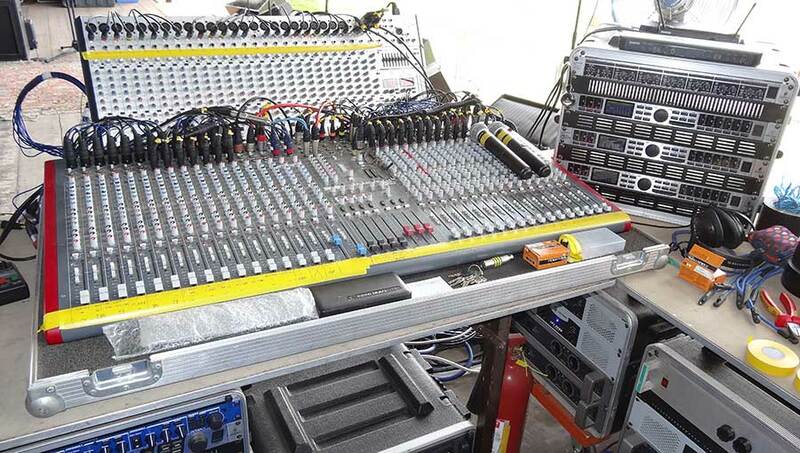 Our Live Band Sound System is available with 32 track recording for later mix down and optionally HD video recording. No Lighting? No Stage? No Problem!! 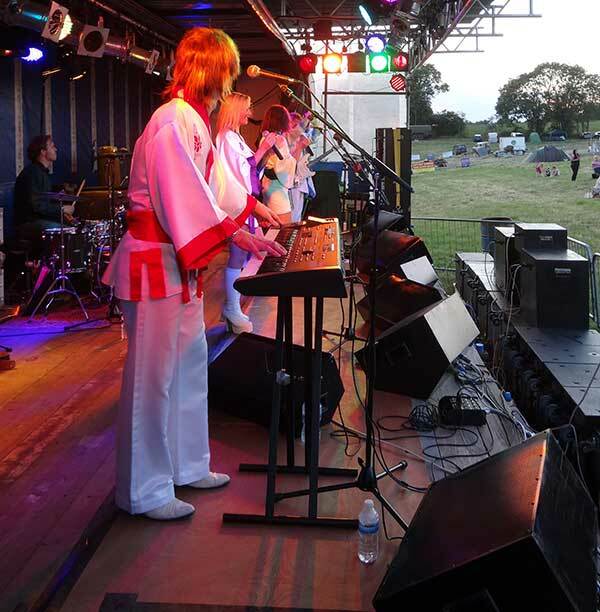 We can supplement our Live Band Sound System with our Live Band Lighting System featuring LED and conventional lighting and a suitably sized stage. Our modular Event Sound System can be tailored to handle all types of activity from a small presentation to a gala awards dinner for hundreds of people. The Event Sound System features the latest in digital or analogue mixing technology and industry standard microphones from Shure and AKG. Both cable and radio vocal mics are available to provide the maximum flexibility for presenters and comperes. Our Event Sound System utilizes digital signal processing to achieve an even dispersion of sound and maximum voice clarity to the audience area while containing the sound within the event. Want a record of your event or the guest speaker? Our Event Sound System is available with 32 track recording for later mix down and optionally HD video recording. We can supplement our Event Sound System with our Event Lighting System featuring LED and conventional lighting installed on a suitably sized stage with a roof if the event is outdoors and a marquee if required all powered from a fully regulated generator if local power is not available providing a safe and reliable solution for the whole event.